Overwatch players came through big time for charity. 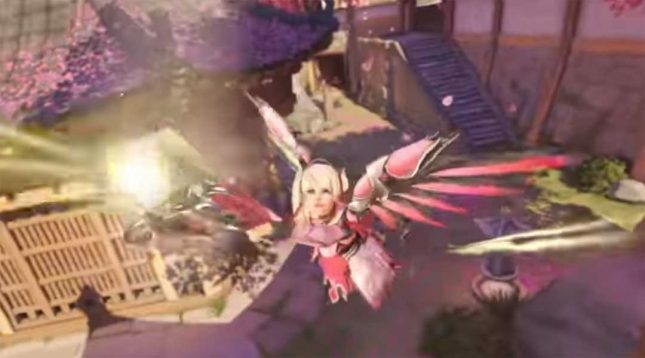 Gamers raised $12.7 million for the Breast Cancer Research Foundation solely on sales of a pink skin for Mercy and a special t-shirt. The $12.7 million donation is the single largest donation by a corporate partner in the history of the organization. “Blizzard Entertainment’s record-breaking commitment to activate change for women’s health by mobilizing the gaming community worldwide will have a lasting impact,” BCRF chief strategic alliances officer Stephanie Kauffman said in a statement. To help raise money for the charity, Blizzard teamed up with more than two dozen popular streamers to raise money and they helped bring in $130,000 for the campaign over the course of its two-week run. The pink Mercy skin sold for $15 and the white t-shirt sold for $30 reports Gamespot.